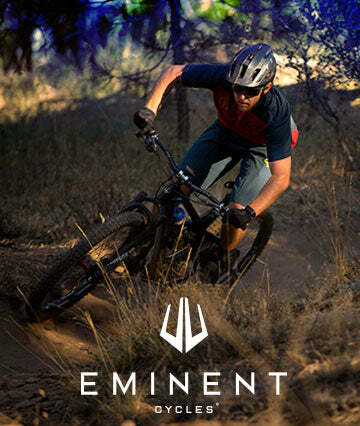 Today, Eminent Cycles, announced the debut of both their brand and a groundbreaking new mountain bike model, the HASTE. The HASTE is a lightweight, carbon, enduro bike that brings several innovations to the table, including floating rear shock and rear brake. While Eminent’s founders, Kevin Sigismondo and Jeff Soncrant, note that the HASTE offers top-in-class performance, both contend that their brand is dedicated to more than merely building elite-level bikes.